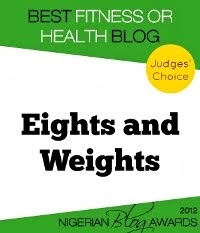 Eights and Weights: Need a Burst of Energy? Try Tuck Jumps! Tuck jumps are tough because they involve a strong burst of cardio. If you love plyometric exercises, you'd love these. Just make sure you land softly, bend your knees when you land to reduce pressure, and tuck your knees when you jump to work your abs. You'll be breathing heavily and torching calories in no time!